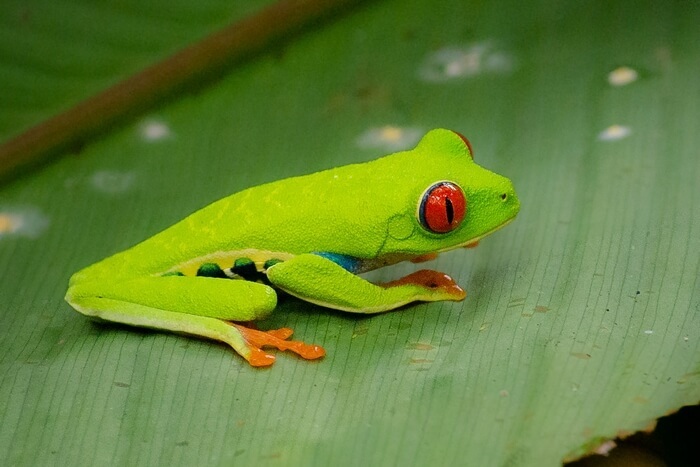 What Are Interesting Facts About Frogs? Frogs are a diverse group of amphibious animals with most species being born as tadpoles in water and gradually becoming frogs as they reach maturity. Some species of frogs, however, are born as full frogs, which is an adaptation that allows such frog species to thrive far from a body of water. There are more than 4,700 known species of frogs all over the world with 90 of these species found in the United States. Frogs are carnivorous animals that feed on insects, worms, spiders, small lizards and minnows. While they can be found in almost all continents except Antarctica, the population of frogs is more concentrated in areas with warm, tropical climates.